If you own a small business, then you’re surely not a huge fan of the process of managing payroll. If you’ve been trying to do payroll by hand without any software, you’re aware of how time-consuming it can be. 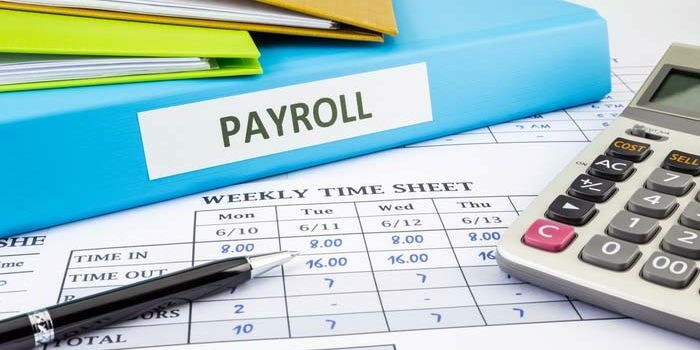 The best way to cut the time for payroll management down is through payroll software. Software that helps to optimize your payroll might sound like a dry subject, but when you see how much time it can save you, you’ll perk up. It might sound difficult to figure out which is the best though: it’s not easy to experiment and try out different software. Not to mention, there are so many great options out there? Which payroll software is the best? We’re breaking down some of the best payroll software on the market to help you figure out which one will be right for your business. Which is the Best Payroll Software? The go-to payroll software for most businesses is, of course, ADP. Originally known as Automatic Data Processing, this company got their start in the 1950’s and has grown to be the biggest payroll company in the world. This is no mistake: ADP’s software is top-notch and will greatly help to maximize your time. One out of six businesses use ADP, so it’s likely to be a great choice for your business. ADP Run is a software package that is ideal for small businesses with 50 or less employees. This software uses cloud storage to keep your information safely backed-up, and it also does a number of processes in the background to keep you from having to keep up with them. Processes like payroll deductions, tax calculations and even direct deposit can all be handled through ADP Run. There is a bit of downside: the software isn’t cheap. This software suite will run you twice what a service like Gusto would. The software price is highly variable, as well, depending on the size of your business and how often payroll is run. Speaking of Gusto, this software is highly user-friendly and can be learned easily. Small businesses love the Gusto software package, as it has great customer service and includes tax support and HR in the software. Those who want a simple payroll platform would be pleased to know that Gusto can run automatic payroll as well as managing both onboarding for new employees and benefits management. The onboarding in particular is a huge time-saver for a small business, as it allows your new employees to enter their own info and keep your records up-to-date. If you’re really not keen on keeping up with payroll yourself, you can actually set it up to run on a programmed schedule. If you want, the Gusto software package can run automatic payroll at set intervals. On top of that, workers’ comp, retirement plans and tuition savings plans can all be set up through Gusto. This affordable software package comes in at a solid $39 a month for their basic package, plus $6 per employee on the payroll. This, paired with Gusto’s super simple user-interface, makes it a great software suite for any small business. Sage’s software suite is offered in two forms: an Essential Plan for companies with 10 or less employees, and a Full-Service Plan for companies with more than 10. The Sage software can be run via either cloud processing or on site. The functions are rather deep and accessible, and the ability to run multiple reports helps you see what minor adjustments change. The Essential Plan is great for very small companies, as data can even be entered via your smartphone. Then, payroll is quite simple. Employees can be paid out via direct deposit or prepaid debit cards, or just through old-fashioned checks. Taxes can also be calculated and deducted straight from the software with the Essential Plan. The Full-Service Plan offers everything you get with the Essential Plan as well as many functions better-suited to larger businesses. Additionally, Sage will set up the Full-Service Plan software for you once you purchase it and walk you through how to use it. The software isn’t terribly expensive, either, coming in at $50 per employee per month. This is markedly lower than ADP. It is, however, a good bit pricier than Gusto, making it a bit of a step between the two services. Sage does have a leg up over Gusto, though, in that it offers full QuickBooks integration. There is also a full online chat-support for customers, so you’ll never be lost without any help.